Kayal Orthopaedic Center, P.C. provides exceptional, innovative and compassionate care. As this NJ Top Docs practice continues to expand, the core values that the practice was founded upon will not change. Kayal Orthopaedic Center’s skilled orthopaedic surgeons continuously work to enhance every patient’s life, from diagnosis and treatment to rehabilitation and recovery. Currently, the team is doing so in Franklin Lakes, Glen Rock, and Westwood, New Jersey. 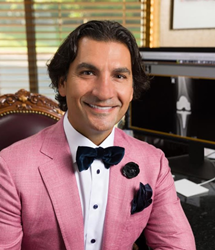 This in addition to their Stony Point, New York location which focuses on orthopaedics, pain management, physical therapy, chiropractic care and the treatment of spinal disorders. Whether you’re injured, suffering from chronic pain, in need of surgery, or seeking help to prevent future problems, the experts at Kayal Orthopedic Center are close by and want to help you enjoy a pain-free, active lifestyle.